“I’ve worked on it for three years! I like to tell stories. 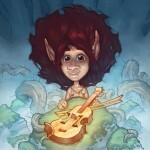 Farytale was also a kind of adventure. 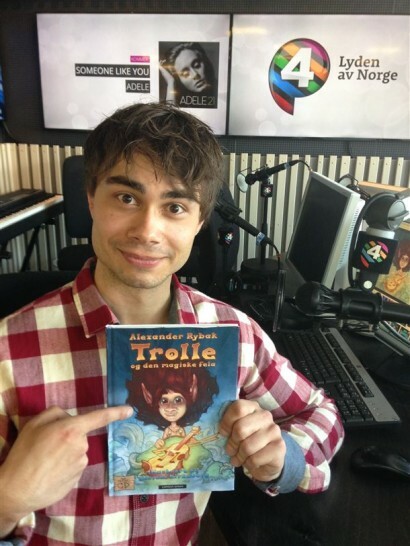 I have liked fairytales ever since I was little,” says Alexander. 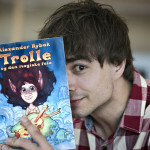 The book is called “Trolle and the magical Fela” and will be published on Cappelen Damm. The book will be for sale from local bookstore and online in September. Great voices Inside the book will be a CD with the audiobook. Dennis Storhøi is the narrator on the audiobook, where also Anders Baasmo Christiansen’s shows up as one of the voices.